In 1965 the Nobel Foundation honored Sin-Itiro Tomonaga, Julian Schwinger, and Richard Feynman for their fundamental work in quantum electrodynamics and the consequences for the physics of elementary particles. 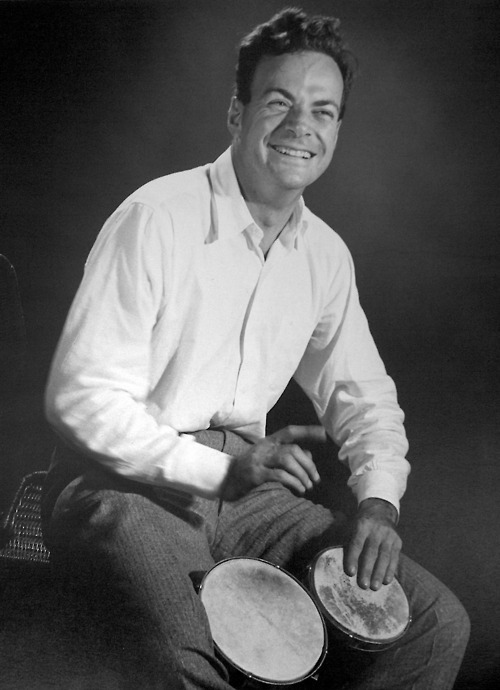 In contrast to both of his colleagues only Richard Feynman appeared as a genius before the public. In his autobiographies he managed to connect his behavior, which contradicted several social and scientific norms, with the American myth of the “practical man”. This connection led to the image of a common American with extraordinary scientific abilities and contributed extensively to enhance the image of Feynman as genius in the public opinion. Is this image resulting from Feynman’s autobiographies in accordance with historical facts? This question is the starting point for a deeper historical analysis that tries to put Feynman and his actions back into historical context. The image of a “genius” appears then as a construct resulting from the public reception of brilliant scientific research…. This entry was posted in History and Philosophy of Physics and tagged Feynman. Bookmark the permalink.